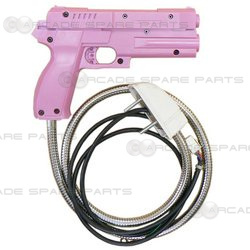 This gun assembly is suitable for Namco Time Crisis 1 & 2 - Pink in color. The gun features the recoil/feedback features and all wiring is safely encased in durable steel. The wiring may be different depending on where your machine has been manufactured. 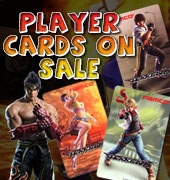 Please make sure your cabinet wiring matches the gun wiring before purchasing it. You can find the images of wiring diagram below in the Actual Screenshot section. 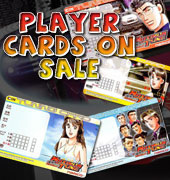 This item is suitable for Time Crisis 1 & 2, Point Blank.